OWNER SAYS "GET HER SOLD! 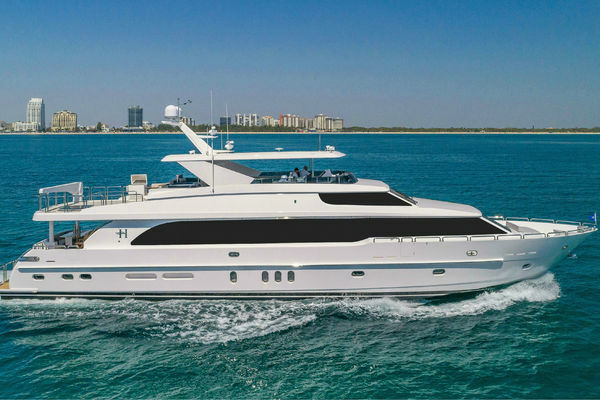 "Natalia is a 1996 Azimut 100' Jumbo Flybridge Motor Yacht located in Jacksonville, FL.Designed and built in Viareggio, Italy. Natalia has sleek lines and is equipped with numerous amenities and custom, luxury décor.With exterior teak decks, a hot tub on the flybridge, a large dining salon, four master and guest staterooms each with en-suite head, a day head, a fully equipped galley, Captain and crew quarters with en-suite heads, and a large salon with a bar and entertainment center, Natalia is ready for her next owners and their guests.The engine room on Natalia is well organized, and the lazarette provides extra space and storage.Natalia is maintained by a captain.The owner is willing to offer partial secured financing to qualified buyers.Ask for details. United Yacht Sales New Jersey would love to guide you through a personal showing of this 100' Azimut 100 Jumbo 1996. 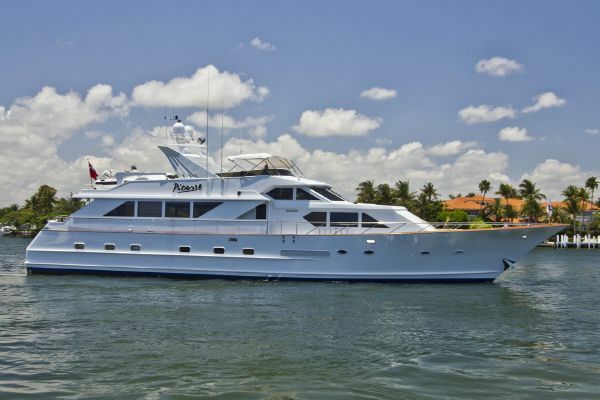 This yacht for sale is located in Jacksonville, Florida and priced at $1,430,000. For a showing please contact us by filling out the form on this page and we will get back to you shortly! Natalia is a 1996 Azimut 100' Jumbo Flybridge Motor Yacht located in Jacksonville, FL.Designed and built in Viareggio, Italy. Natalia has sleek lines and is equipped with numerous amenities and custom, luxury décor.With exterior teak decks, a hot tub on the flybridge, a large dining salon, four master and guest staterooms each with en-suite head, a day head, a fully equipped galley, Captain and crew quarters with en-suite heads, and a large salon with a bar and entertainment center, Natalia is ready for her next owners and their guests.The engine room on Natalia is well organized, and the lazarette provides extra space and storage.Natalia is maintained by a captain. This gorgeous vessel is ready for use by her next owner.She has four guest staterooms plus two crew staterooms, each with en-suite head.A formal dining room, with seating for 8, is forward of the salon, then the galley and crew quarters are forward of the dining salon.The master stateroom has a king berth, VIP stateroom has a queen berth, and the two guest staterooms each have 2 twin berths.